The mother of the first baby born in Hull during the City of Culture year returned to the Women and Children’s Hospital earlier today for a very special occasion. Charlotte Marshall and her baby son, Lincoln, watched as the first of 12 ‘tiles’ containing footprints taken as part of the ‘Born into a City of Culture’ project was installed this morning. 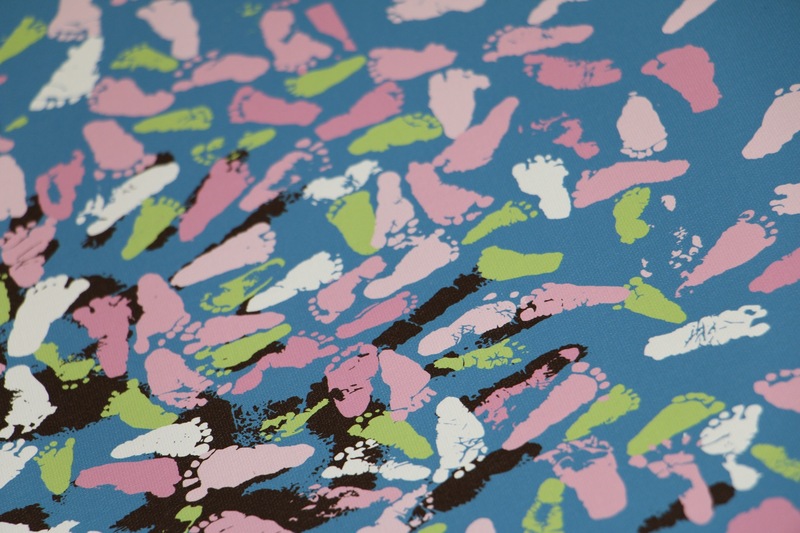 Since 1st January 2017, footprints have been taken from babies born in the city with a view to creating a large scale artwork over the course of the year, depicting trees throughout the seasons. Baby footprints will form the leaves, while midwives’ handprints will form the supporting trunks. A total of 381 baby footprints were taken during January, and these have been used in the first tile, which was mounted within the entrance to the Women and Children’s Hospital earlier today. The artwork will now be added to, tile by tile, month on month, before the full picture is expected to be complete in January 2018. The imaginative design has been worked up by Hull-based marketing and design company, Jenko. “Our midwives have been busy collecting footprints over recent weeks, and we’re all delighted with how the first piece looks now it’s in place. It was also lovely to be able to invite Charlotte and baby Lincoln back to see the first tile, which includes his footprint, being installed. ‘Born into a City of Culture’ has been supported through the 2017 Hull City of Culture Creative Communities programme.